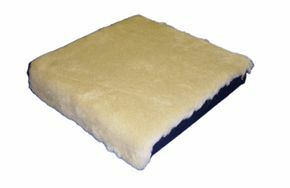 Luxury Pure Wool Fleece Top Mobility Cushion. Lovely comfortable cushion for my kitchen chair. Very pleased.